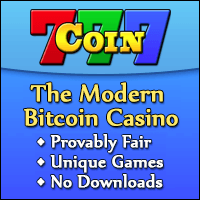 777Coin is an online Bitcoin casino which features a number of provably fair slot machines and games. The games can be played inside a web browser, and they do not require any plugins or downloads. Many of the games have large jackpots, which are awarded to lucky players. 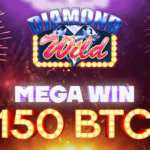 Like many other Bitcoin casinos, there is a chat room built into the site. All of the games on 777Coin are provably fair. On every game, there is a “Proof” tab which can displays the seeds, the result, and the formula which was used to calculate it. There is also a button labeled “Explanation/Verification” on some games, which will bring up a page that thoroughly explains how the result was calculated. There are three slot machine games: Suits & 7′s, Bits & Bars, and Jewels & Gems. Each of them has a different theme, and has unique rules. 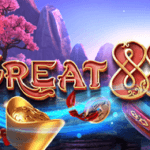 For example, the Jewels & Gems slot machine rewards players with gems, which can be spent in the Gem Shop to buy free spins. The Suits & 7′s slot machine features a bonus wheel game, for players who place a maximum bet on the maximum number of lines. There is a similar bonus game on the Bits & Bars slot machine, which is the Counter Bonus game. There are also other games, some of which are quite unique. For example, the Pyramid Plunder game lets the player start with 1,000x their bet. The player must click on a box at each level of the pyramid, which contains a multiplier (1, or lower). If a player manages to click only boxes with a 1x multiplier all the way to the bottom of the player, he/she would keep the prize of 1,000x their original bet. This is a lot more difficult than it sounds! Two other games are Bit Boxes, and 7Box. The rules, and prizes are different, but the idea is the same. A player will highlight a number of boxes, and a payout may be awarded, depending on what the contents of the boxes were. The main difference between the two is that in Bit Boxes, the player can change the grid size, number of winning boxes, and number of boxes selected, but in 7Box, the player can only pick 3 boxes on a 4×4 grid. And finally, there is the Satoshi Slider game, which can be seen as a basic Bitcoin dice game. Instead of using a text box to select the winning odds, a horizontal slider is used instead. There is also a jackpot, which can be turned on or off. The Satoshi Slider game has many limitations. There is a text box which can be used to insert a “less than” number, but there is way to select a bet multiplier or win chance without using the slider. Additionally, it is not possible to use a range, or roll higher than a certain number, which is a feature found in many similar dice games. Deposits into the casino require one confirmation. Withdrawals are usually processed instantly, with a 0.0005 BTC fee. There do not appear to be any complaints about the site’s financial security. 777Coin’s customer support is excellent. They were able to answer our questions very quickly through Bitcoin Talk private messages, and the live chat. 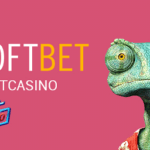 The casino is currently offering a 5 mBTC signup bonus, and a 1mBTC daily giveaway. 777Coin is a great online Bitcoin casino, with many unique games, and outstanding customer support. 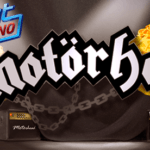 There are many exciting jackpots, and bonuses. >> Join 777 Coin casino now!